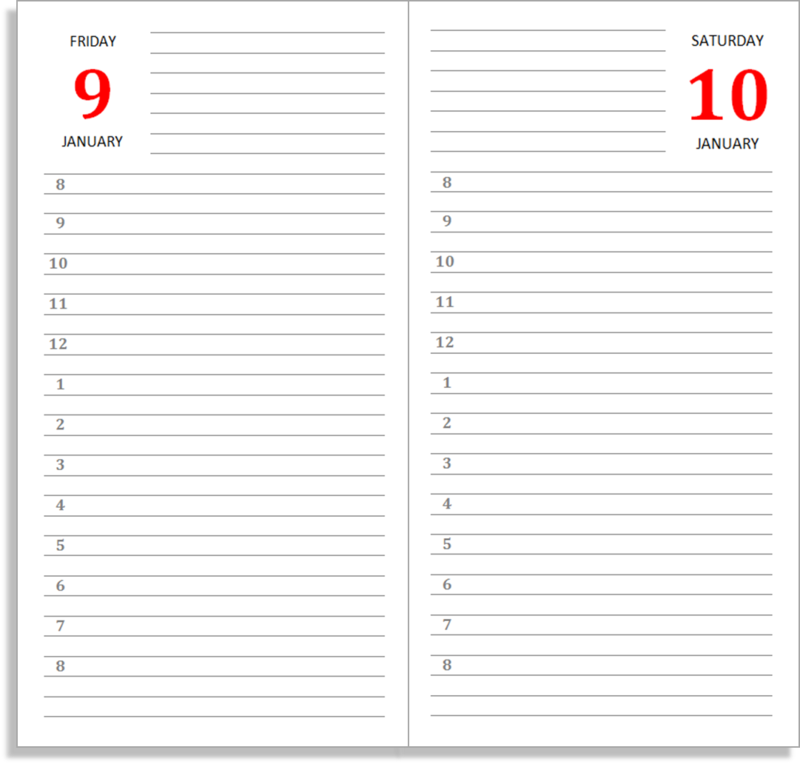 As I type, it is a warm early-summer day, but I know many of you like to plan ahead, so today I am making available 2015 versions of all my dated Midori inserts. 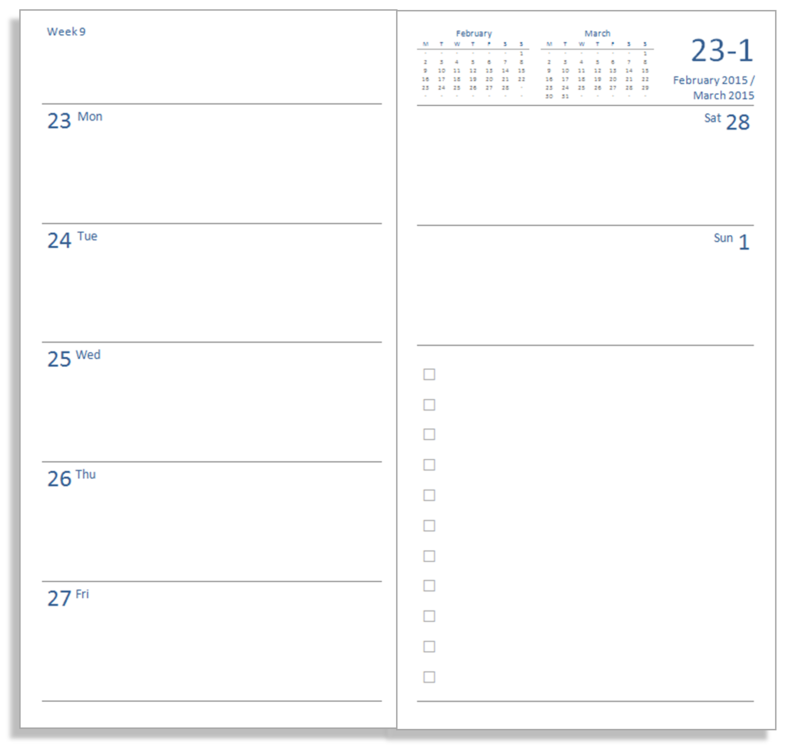 In each case, simply print the file on A4 and cut out the calendar, which you can stick on a booklet cover or on a kraft file. 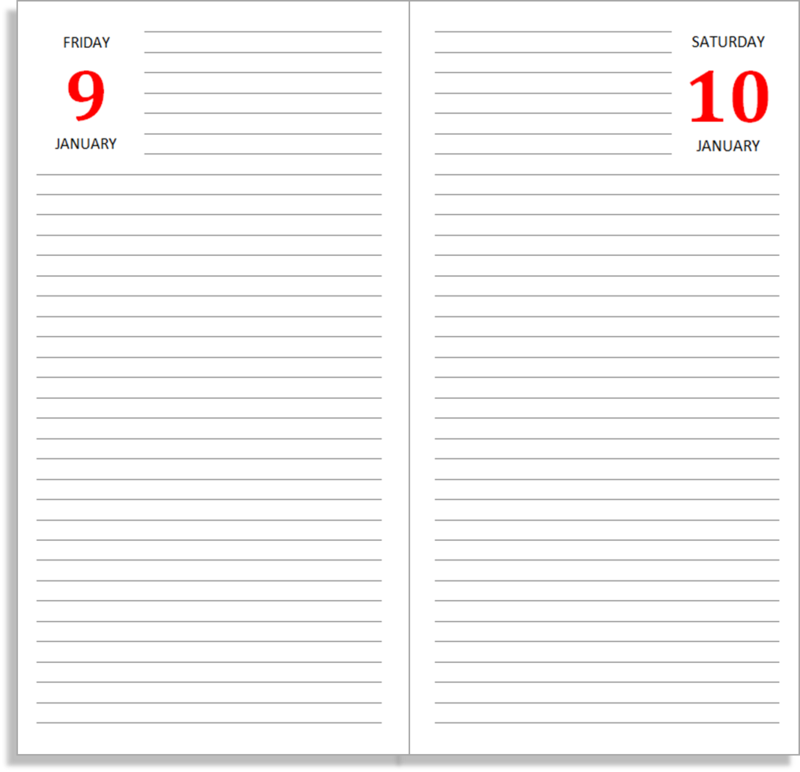 The file prints double-sided on A4 paper in booklet mode. You can then bind the sheets into a cover and trim in the usual way. 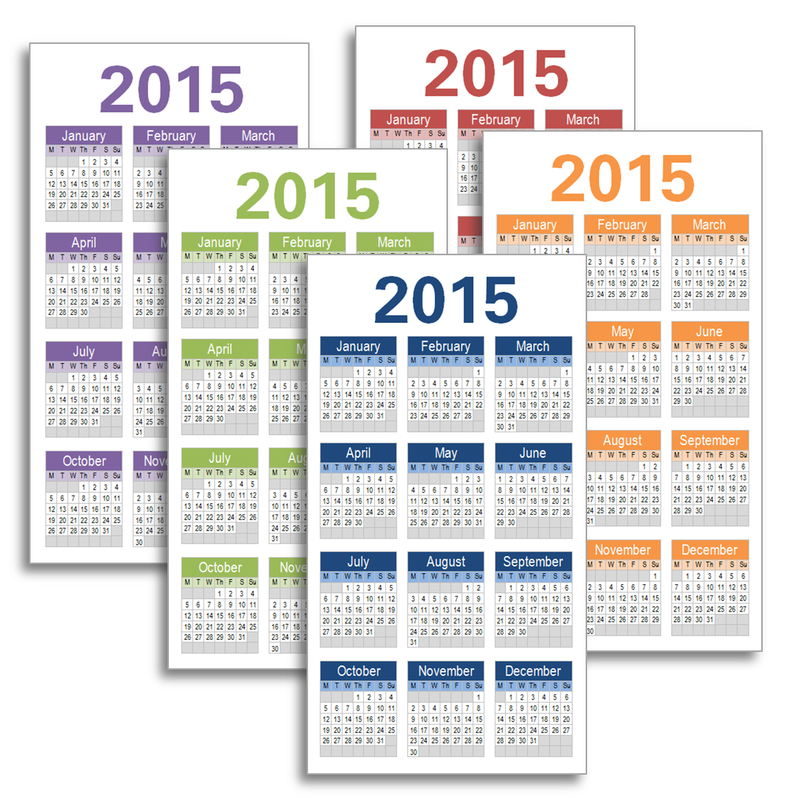 Update: a January 2015 - December 2016 version is now available. Download the Word version if you like. If you've always struggled with booklet mode printing, then you can download a print-ready version that just needs straightforward double-sided printing (flipping on the short edge) either for A4 paper or Letter paper. 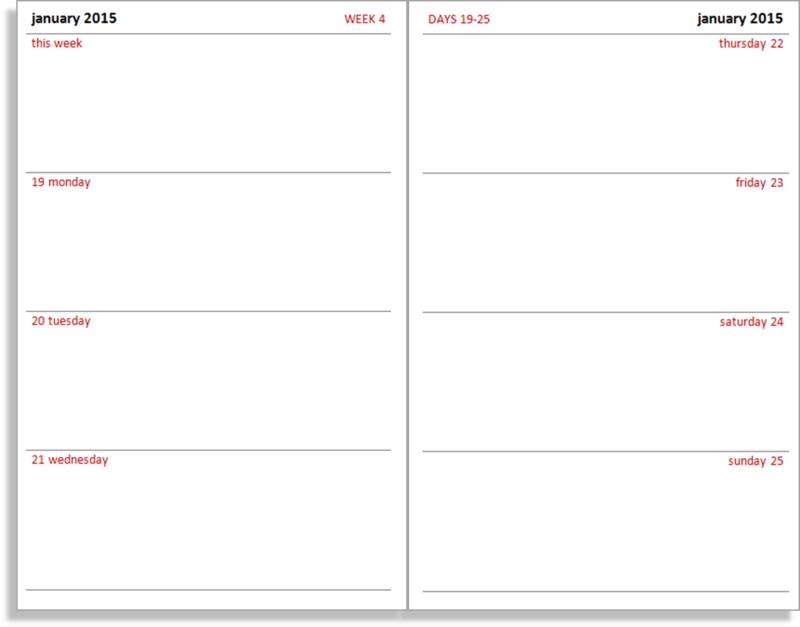 The week-to-view with tasks fits a whole year into two booklets. Again, the file prints double-sided on A4 paper in booklet mode. You can then bind the sheets into a cover and trim in the usual way. Because this comes in a choice of colours and in two formats for two halves of the year, there are a few files to juggle, but you don't have to download them all! 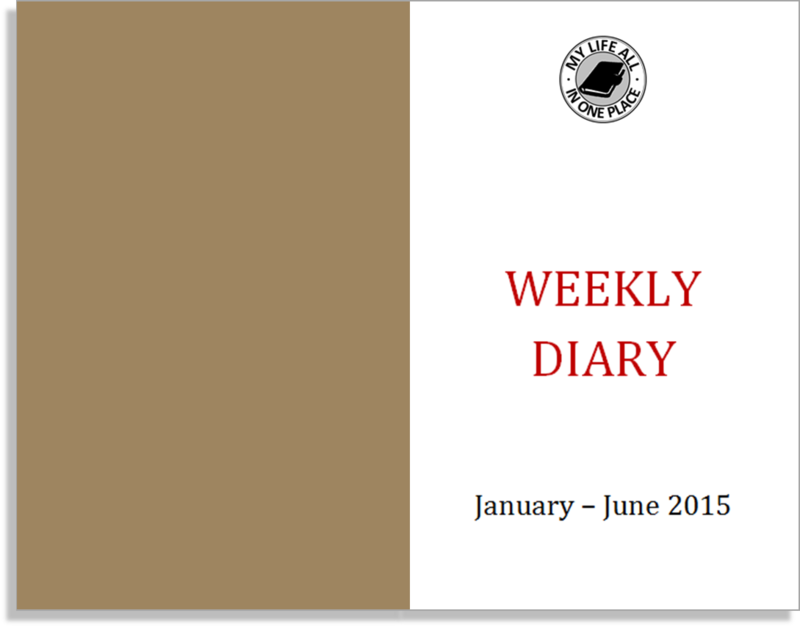 This is a week-to-view layout that takes into account the constraints of the Field Notes size. Again, print double-sided onto A4 in booklet mode, then bind and this time trim the booklet on the three edges that aren't bound. For a full year, you'll need two booklets. 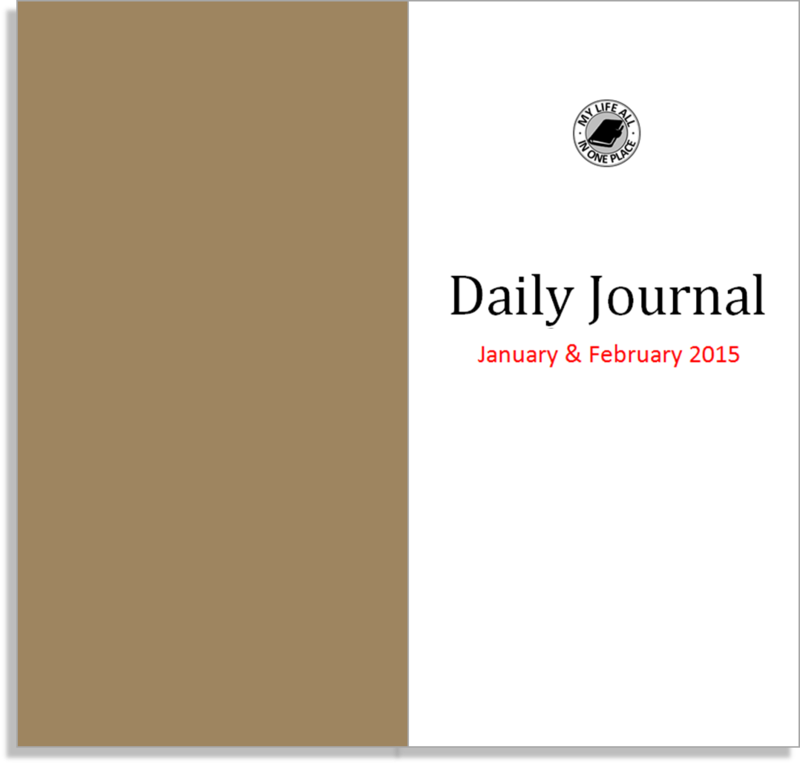 Finally, there are 2015 versions of my day-per-page inserts. 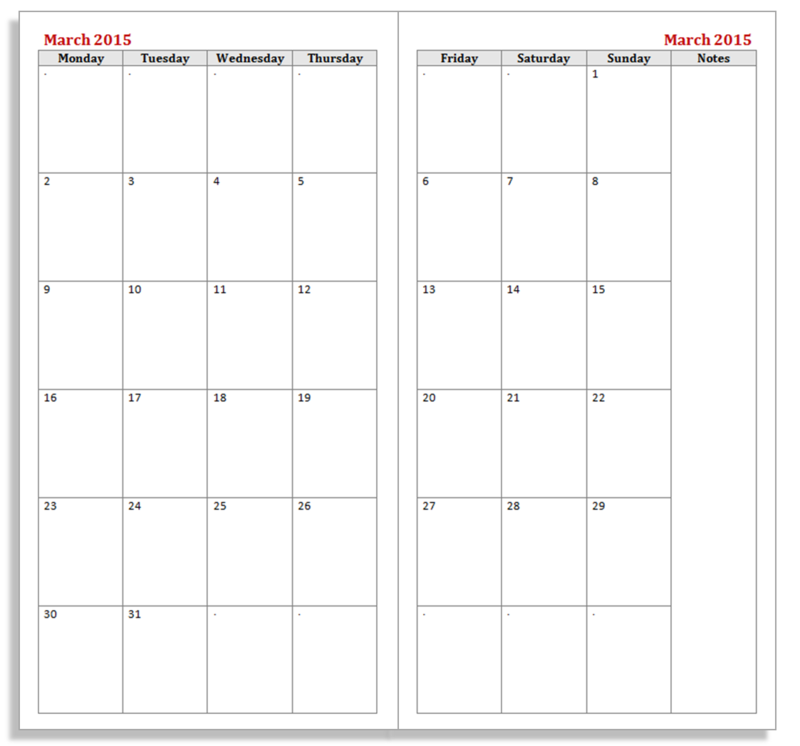 You can choose between the plain, minimalist layout, or the layout with times. Each booklet will hold two months, so you'd need six for the whole year.